​Bayern Munich reportedly passed on the opportunity to sign Jadon Sancho from Manchester City before the English youngster signed for Bundesliga rivals Borussia Dortmund. Sancho has enjoyed a breakout season for Dortmund thus far, scoring once and contributing six assists in just 214 minutes of Bundesliga action. His eye catching performances earned him a call up to Gareth Southgate's latest England squad, and it appears the speedy winger is on track to becoming one of the Bundesliga's best players. But it could've been all so different for the youngster, as according to SportBild (via 90min.de), Bayern Munich were the first Bundesliga club interested in the winger. 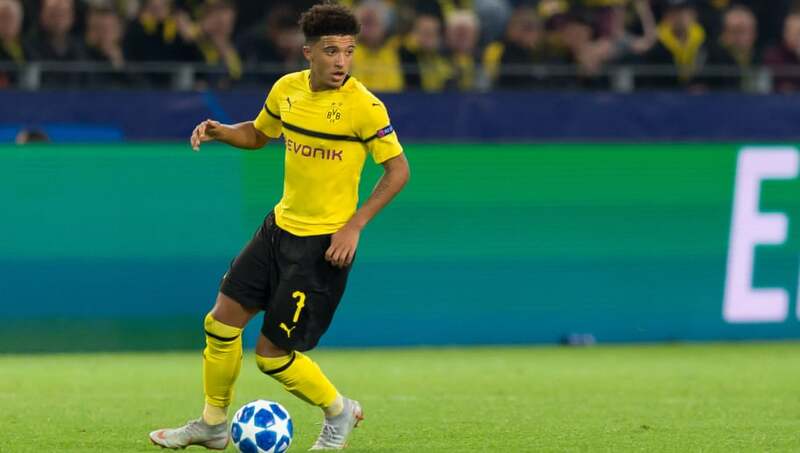 It's understood that despite getting in touch with former Bayern manager Pep Guardiola to discuss Sancho, Bayern believed that the youngster was simply not worth the asking price. Bayern's loss was Dortmund's gain though, and BVB are now reaping the rewards for taking a risk. Ironically, Bayern are now counting the cost of missing out on Sancho in more than one way. The reigning Bundesliga champions sit in sixth position after seven games, and are struggling to create enough chances, specifically from the wide areas. There's no telling whether Sancho would have propelled Bayern up the table in an alternate universe, but one thing's for sure, it's Dortmund's future that looks considerably brighter with the winger in their ranks.